Encouraging your child to play sports is great for their overall development for many reasons. Not only will playing sports, such as hockey help with your child’s physical fitness level, but it will also help them mentally prepare for obstacles that may occur later in life. Sports helps children make new friends, learn how to deal with disappointment and utter thrill, and also helps them enhance their hand and eye coordination. This article will explain further how allowing your child to play hockey will help with their growth and development. Children learn best from watching their peers and interacting with others. One of the easiest ways to provide your children with a way to learn from their peers is by enrolling them in sports. While learning how to play a game, such as hockey, a child will learn valuable skills in working with others that can be utilized in all aspects of their life. Working together towards a common goal with other children on a team can help kids realize that they can greatly benefit from doing things with others. In addition, it helps children work through differences and overcome their frustration when another child handles a part of the game in a way that your child did not like. The opportunity for your child to work through their frustration and disappointment in a healthy way, such as working with a coach or talking the play through with a trusted adult, can make all the difference in how your child will handle other frustrations in life. For example, a 5-year-old boy may hit when he gets frustrated. If he was on a hockey team and hit another child because he was frustrated, the hitting would not be an acceptable behavior and would then be addressed by a coach and the child would learn that he cannot act that way. Next time the child is in school, at home, or in any situation in which they become frustrated, they will think twice about hitting as a way to take out their emotions. Sports can help your child socialize with others and make friends. Not to mention that being a part of a team, or an activity, can provide your child with increased self esteem. The ability to feel and act independently with other children is a way to help your child detach from their parents and begin to think and act on their own. Encouraging your child to make friends with other children on the team is also a great way to help your child increase their self esteem. Making friends is a healthy skill that should be learned early on. 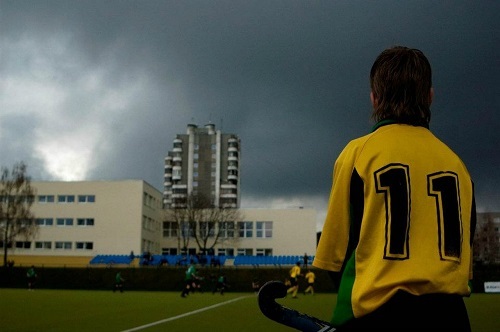 Hockey is a great way to facilitate this and can be studied more at fieldhockey.com. 3. Learn from Other Adults and Have Fun. There are times throughout a child’s life when he or she will need to listen to other adults and pay attention to them as an authority figure. As your child grows, it is not feasible for you to be the only adult that he or she interacts with. The earlier you allow your child the opportunity to interact with others in a way that teaches them new things is a great asset. Sports will provide your child with an opportunity to learn from other adults while having fun with other kids at the same time! This entry was posted in Other Sports and tagged child, Children, field hockey, hockey. Bookmark the permalink.